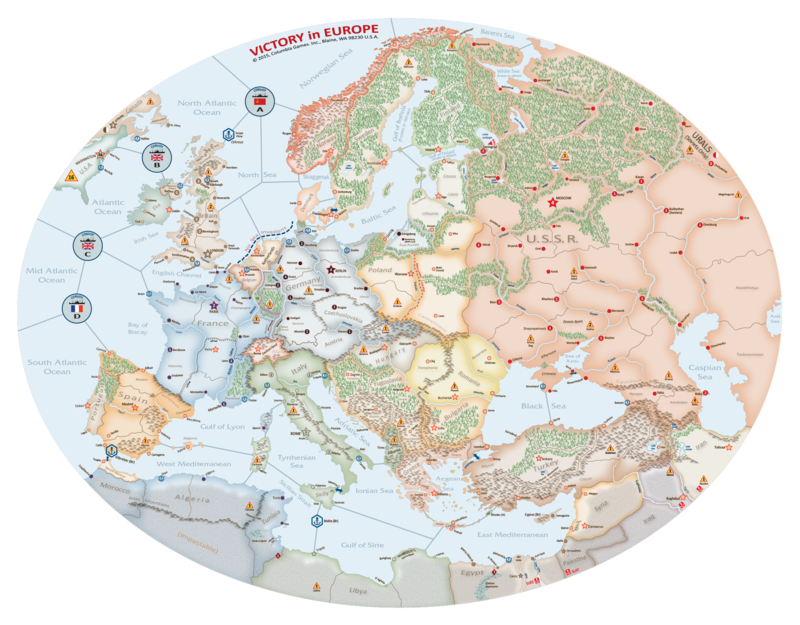 VICTORY IN EUROPE: a strategic block wargame of World War II, for 2 or 3 players. Plays in 4-6 hours on an oval map of Europe. 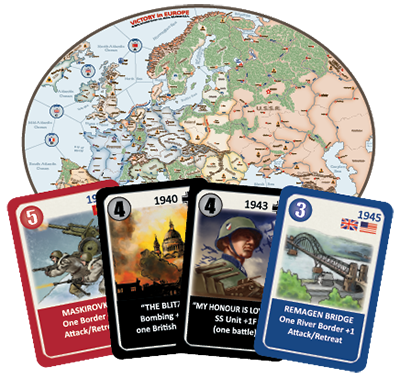 Victory in Europe puts you in control of Axis, Allied, or Soviet strategy in WWII. Fight in the air, fight at sea, and fight on land with more than 180 hardwood blocks representing the forces of every nation involved. The game is driven by 108 full color cards that control initiative, movement, & combat. V.E. Map design: The map is a single piece that folds down into a 8.5x11 size. It has 9 panels. It is the same map size as in Bobby Lee, though the corners are rounded to give the final shape. Click "Add to Cart" to add this item (2) to your order. You can change the quantity later.